Ithaca Tompkins Regional Airport (ITH) is gearing up to introduce our new non-stop service to Charlotte Douglas International Airport (CLT) on December 22nd. 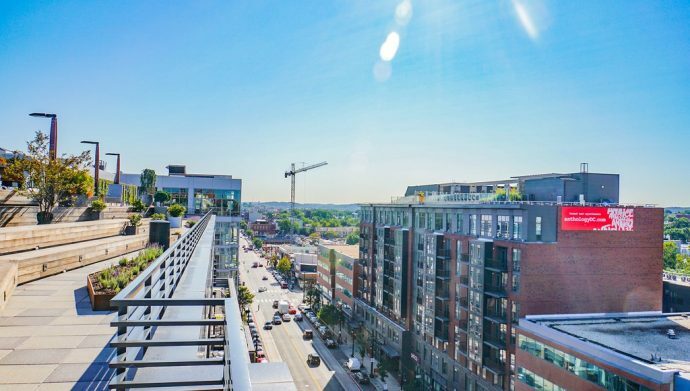 With weekly Saturday flights departing Ithaca around 9 am, traveling to CLT will connect you to so many international and national one-stop destinations. ITH is gearing up to begin the new American Airlines service to Charlotte-Douglas International Airport in a few short weeks! From endless attractions to beautiful scenery, Ithaca and Charlotte have more in common than you’d think. 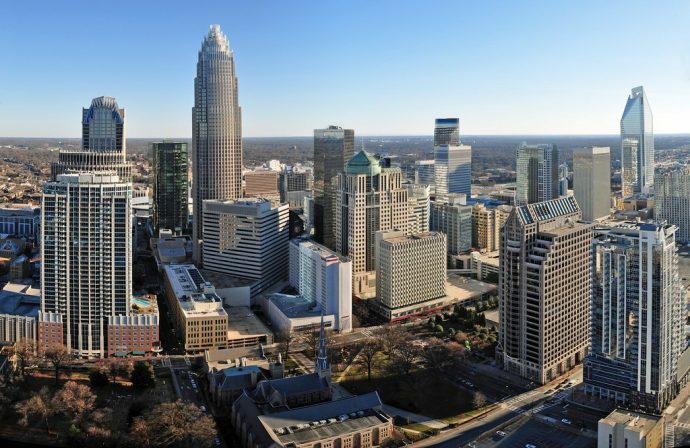 With weekly Saturday flights starting December 22nd, there’s just enough time to start planning your trip to Charlotte, NC! 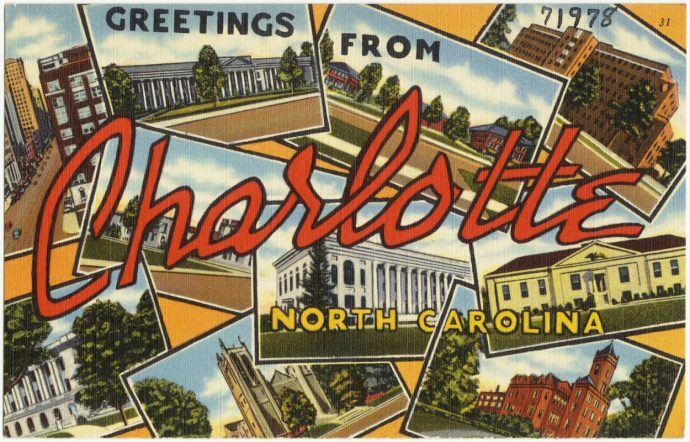 ITH is happy to announce that a non-stop service to the Charlotte-Douglas International Airport (CLT) in Charlotte, NC will be introduced to our community on Saturday, December 22nd. 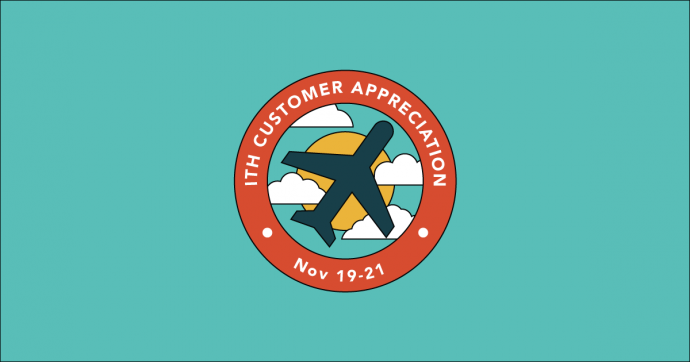 On October 16, 2018, ITH kickstarted the $24 million renovations to transform from a regional airport, into an international hub. Celebrating new service from ITH to IAD! This past October 4th, the Ithaca Tompkins Regional Airport had the pleasure of inaugurating the non-stop service the Washington Dulles Airport. Take a peek at the exciting inauguration event and remember that now, all Finger Lakes residents can enjoy the perks of getting to the nation’s capital in only 90 minutes. Airport Day was a Success! 5 Reasons to be Excited for Airport Day! 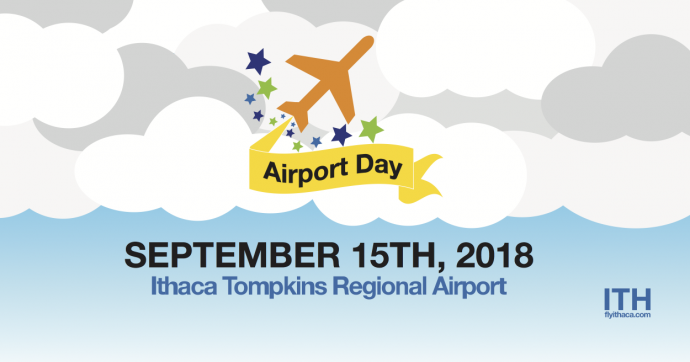 This Saturday September 15th, the Ithaca Tompkins Regional Airport will open its doors to the community to celebrate Airport Day! We have planned so many activities to make for one amazing day, and frankly, we’re so eager it was hard to narrow down the list of all the Airport Day activities that we are most looking forward too. But we managed to do it! Here are our top 5 reasons to be excited about this Saturday! 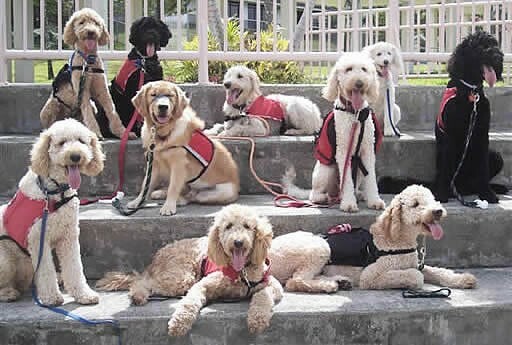 Are You Ready For Airport Day? We’re counting down the days until our favorite day of the year — Airport day! It’s only a few weeks until September 15th, so you better have your party mood and running shoes ready! What is Airport Day? 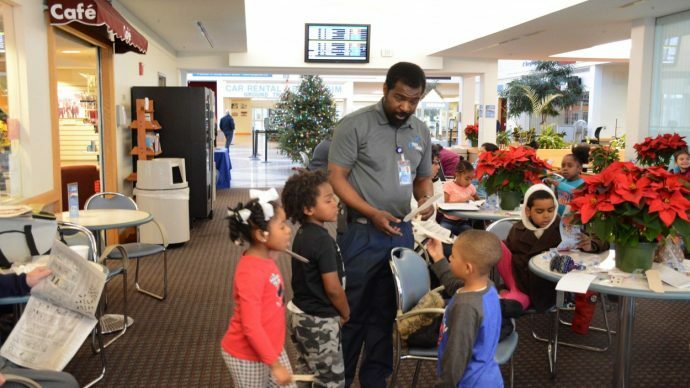 Airport Day is our way to give back to the Ithaca Community. 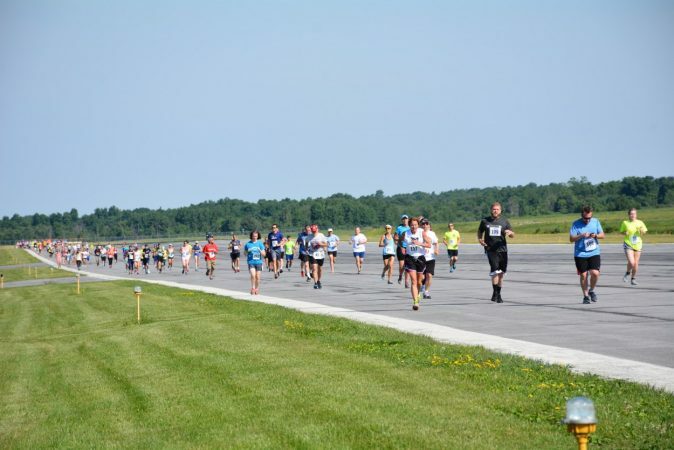 We have put together some fun activities, including the Runway 5k, food, music and even airplane rides. So please come join us for a wonderful time. It’s open to everyone, the entry is free, and best of all, we will donate all the earnings to some of your favorite charities! 90 Minutes Apart: How is Ithaca Similar to DC? 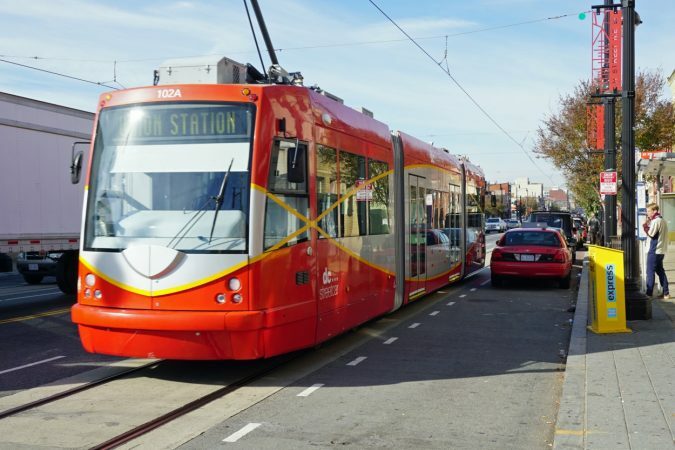 9 of the Best Transportation Options in Washington, D.C.
Now that the Ithaca Tompkins Regional Airport (ITH) is implementing a new, non-stop service to Washington Dulles International Airport (IAD), we’re sure many of you are planning to visit the iconic city of Washington, D.C. and need to be in the loop of the best transportation options available. 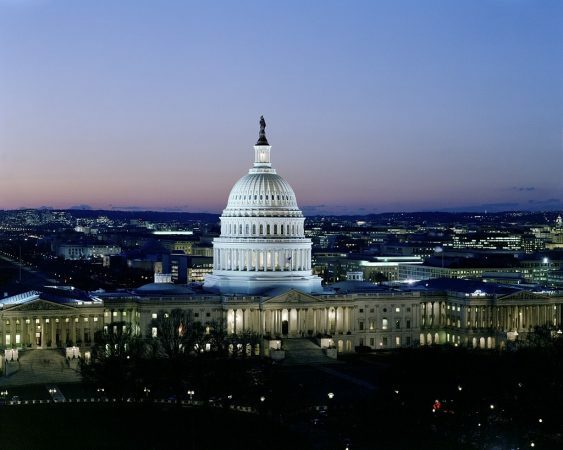 Getting from the Washington Dulles International Airport to the heart of D.C. 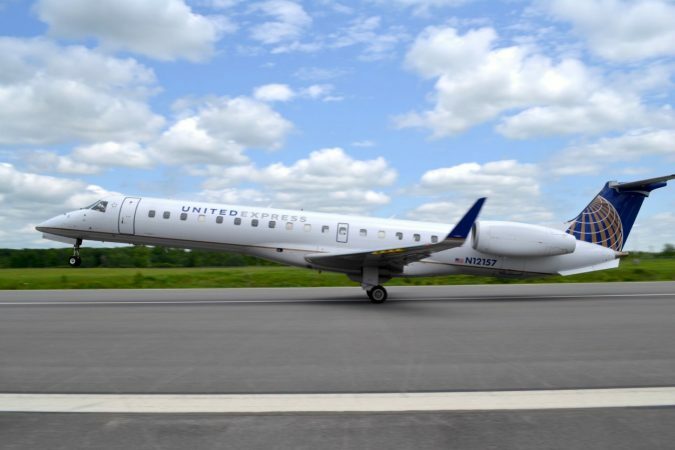 Starting October 4th, Ithaca Tompkins Regional Airport (ITH) will begin nonstop flights through United Airlines to Washington Dulles International Airport (IAD). With more reliability, inexpensive tickets, and increased connection to our nation’s capital, you’ll want to book your tickets early through United (united.com)! 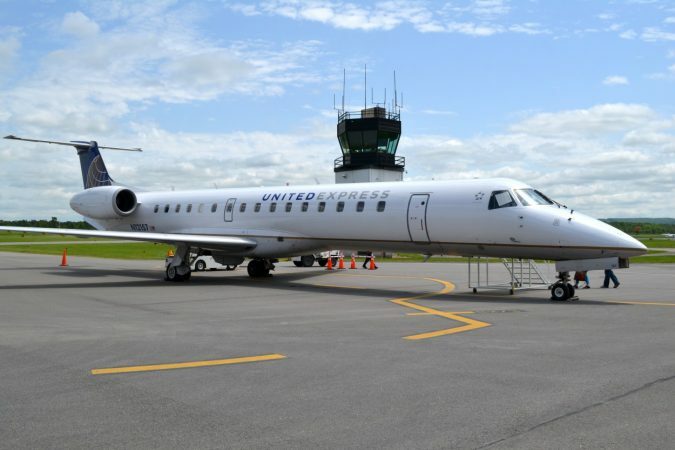 In a sweeping change for both ITH and the Southern Tier, the airport will cease its non-stop (and oft-delayed) Newark flights. 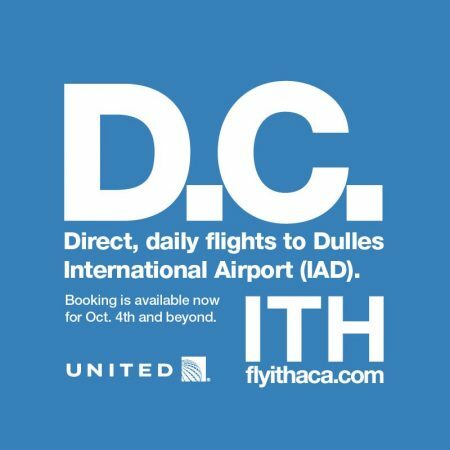 Instead, beginning on October 4th, ITH will introduce new direct flights to Dulles International Airport (IAD) in Washington D.C.
Ithaca Tompkins Regional Airport (ITH) is thrilled to announce our mutual agreement with New York State to begin a $24.5 million dollar renovation and expansion of the airport’s facilities. Construction will begin this fall and is expected to be completed in 2019. 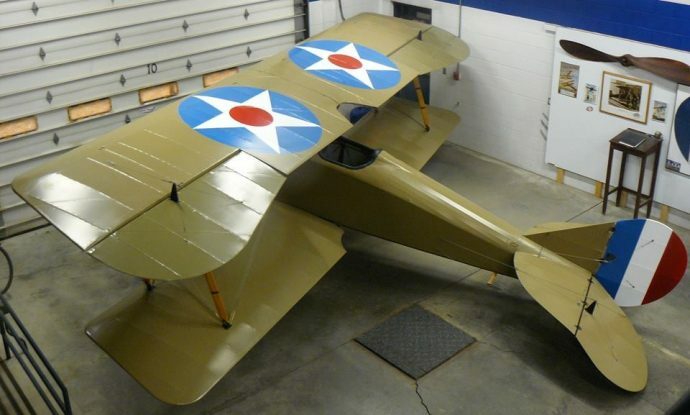 This September, the Ithaca Tompkins Regional Airport is ecstatic to host the centennial flight of the historic Thomas-Morse “Tommy” bi-plane, originally built in Ithaca. 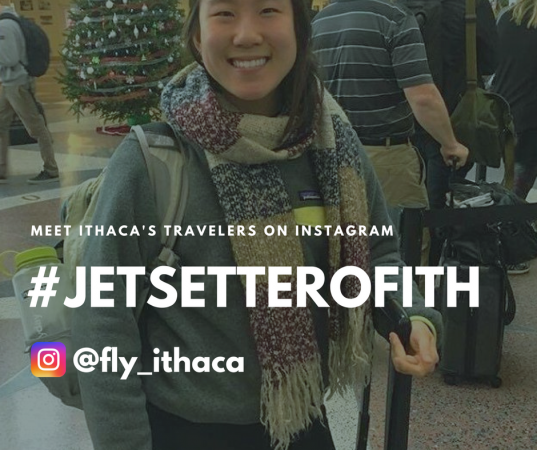 Over Spring Break, we held a “Spring Break Instagram Contest” to see where our patrons have flown to from Ithaca to escape the cold. 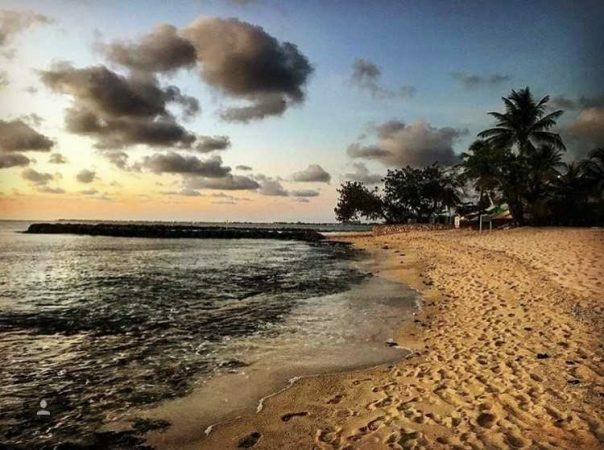 We received over 30 responses which included beautiful pictures of vacation destinations, and the winner was awarded a $250 Travel Voucher to use on their next flight out of ITH. Here are some of our favorite entries. 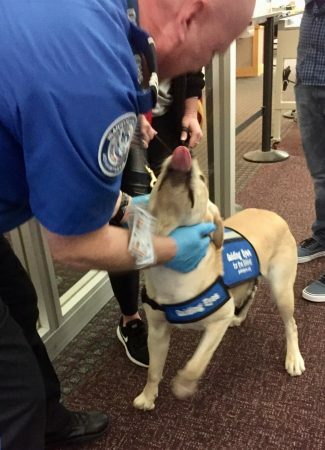 On Monday, April 16th, TSA officials are set to provide a checkpoint orientation session at Ithaca Tompkins Regional Airport (ITH) for 20 puppies who are being trained by Guiding Eyes for the Blind of the Finger Lakes Region to assist individuals with visual impairments. 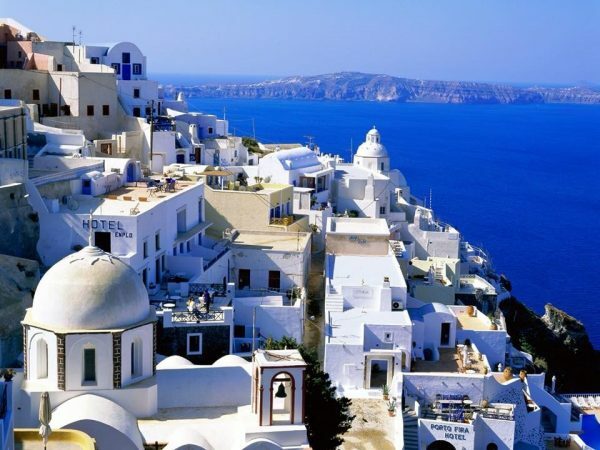 Getting ready to escape the Ithaca cold this spring break? We’ve got even more for you to look forward to! Make sure to take lots of pics during break so you can enter our Instagram contest for the chance to win a $250 travel voucher for your next trip! 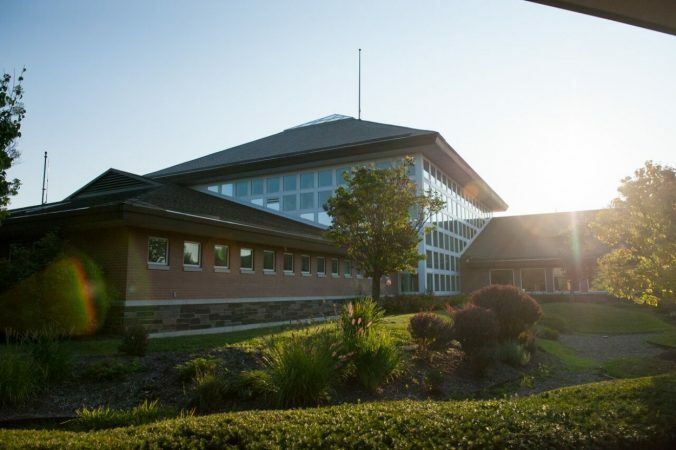 The Ithaca Tompkins Regional Airport, a continuously advancing airport has been around for a while. However, despite being a small town, this is not the only source of aviation Ithaca has had. 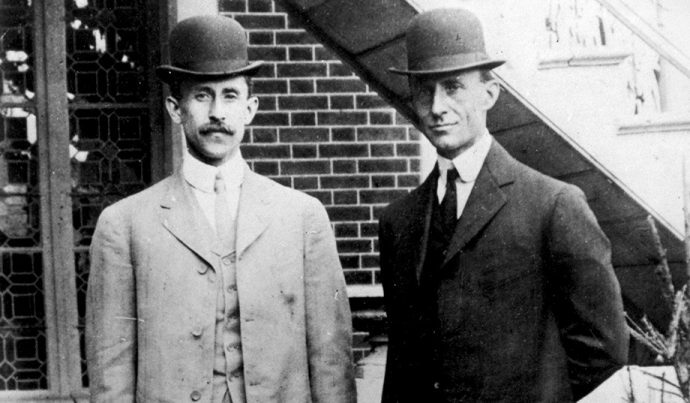 In fact, aviation in Ithaca dates back to the early 1900’s with a lot of exciting events that have lead to where ITH stands today. 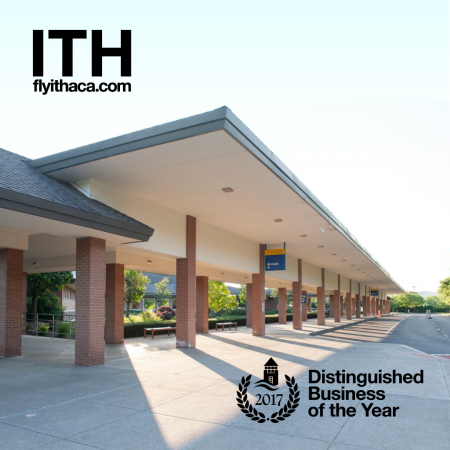 We are so excited to to announce that the Ithaca Tompkins County Regional Airport (ITH) is the winner of the Chamber Awards! ITH won the Distinguished Business of the Year, one category out of four that recognize our community’s business efforts and success. The award was presented in the Chamber’s Annual Dinner, held last Thursday, January 25th at Ithaca College Emerson Suites.